We are in the midst of the sixth mass extinction; but, there are silver linings, as some species and communities have measures of resiliency. Marine species and communities are in need of sophisticated tools and approaches to bring conservation into the 21st century. 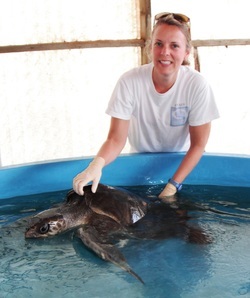 My lab's research uses quantitative methods to provide solutions for marine conservation problems. Check out our website to see what we have been up to!